The Maytag Bravo series of washers are top-loading machines with anywhere from seven to 11 different wash cycles, four to five different temperature settings and large load capacities. All of the washers in the Bravo series are energy efficient and Energy Star qualified. The basic operation of the Bravo series doesn't deviate much from standard washers of the recent past, but offers more control over the water temperature and level, the length of pre-soaks and wash cycles, and the ability to program specialized treatments for delicate fabrics. Maytag Bravos feature anywhere from seven to 11 different and specialized wash cycles. Put a load of laundry into the washer drum, and move the laundry around so that it is evenly placed and balanced. Do not overload the washer by loading laundry past the top of the metal drum. Pour powdered or liquid high-efficiency detergent into the dispenser, a small plastic pocket located on the front left corner of the machine. 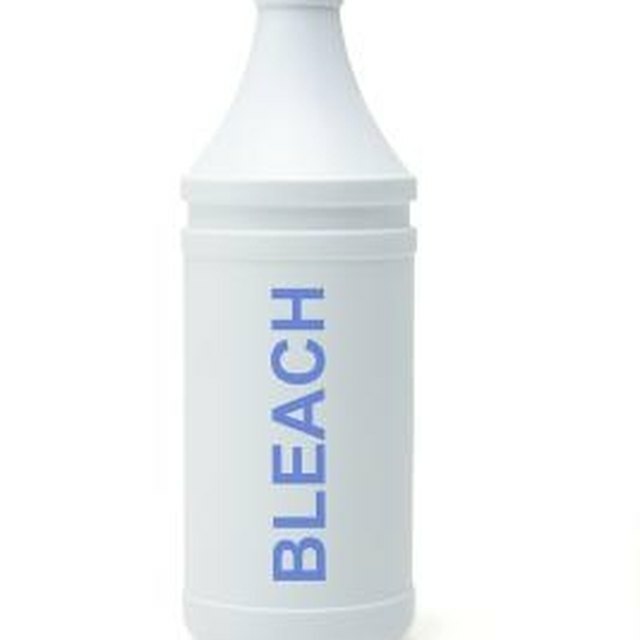 Pour color-safe liquid or powdered bleach into the same dispenser, if necessary. Use powdered color-safe bleach with powdered detergent, and liquid color safe bleach with liquid detergent. If you're using liquid chlorine bleach, pour this into the liquid chlorine bleach dispenser. The liquid chlorine bleach dispenser looks like the detergent dispenser, but is located on the back left corner of the machine. Do not use more than 1 cup of liquid chlorine bleach for a full load of laundry. Pour a capful of liquid fabric softener into the fabric softener dispenser, a plastic pocket located on the back right corner of the machine. Close the washer lid, press "Power," and select a wash cycle appropriate to the load size and the type of fabric you're washing. Press "Start," at which point the lid will lock while the machine is engaged. Press "Pause/Cancel" to temporarily halt machine function to add an additional garment. The lid lock light will turn off, signifying that the machine has stopped for continued loading. To restart the washer, close the lid and press "Start." The wash cycle can be canceled completely by pressing "Pause/Cancel" twice. Pour liquid chlorine bleach into the liquid chlorine bleach dispenser once a month, set the wash cycle to "Clean Washer," and press "Power." This will thoroughly clean out the washer to prevent mold, mildew, and grime buildup. Do not use powdered or liquid detergents during the washer cleaning cycle. The metal washer drum should also be completely empty --- save for hot water and bleach --- during this cycle. Maytag recommends using only high-efficiency detergents in a Maytag Bravo washing machine. High efficiency detergents are marked with an "HE" symbol on the packaging. Using a regular detergent with this machine will create too many suds and result in longer cycle times, reduced rinsing performance, and possibly mold or mildew.